and NOW ONLINE via free live webcast and archive! For many higher education institutions, the goal of broadly integrating intercultural or global dimensions into the curriculum has been a hard goal to achieve. However, in recent years a new teaching and learning methodology known as Globally Networked Learning (GNL) has emerged providing an innovative and cost-effective internationalization method for fostering exchange between faculty and students with peers in other countries through Internet-based tools. The annual conference brings together faculty, international programs staff, instructional technology staff, and university and college administrators from SUNY, across the U.S. and around the world to share experiences and innovative GNL models and best practices. The year's conference agenda includes sessions from both invited speakers as well as those resulting from a Call for Presentations (closed March 26). A keynote address will be given by Darla Deardorff, Executive Director of the Association of International Education Administrators (AIEA). A list of presenters, the conference agenda as well as short summaries of the sessions are now available. May 14th Update: The conference has completely filled. There is a chance we may receive some last minute cancellations. If you wish to join the waitlist, please CLICK HERE to join our waitlist. We do hope to stream some of the sessions live over the Internet. We also plan to record and make available most sessions via our website. More details on these options will be forthcoming as the event approaches. Please join us for an engaging and lively series of presentations and discussions on international online learning environments. The 2011 conference filled to capacity, so we recommend registering early to avoid disappointment. A networking reception on Thursday evening, as well as lunch on Friday are included in your registration fee. 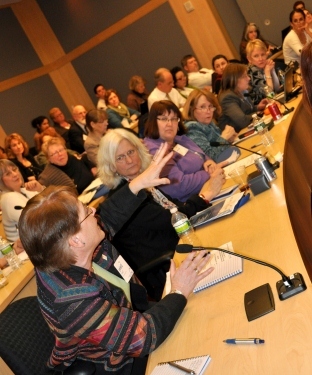 You can register for the event through SUNY's Center for Professional Development at http://www.cvent.com/d/jcqly4. COIL has arranged special rates at three conveniently located hotels for attendees. More information can be found on the hotel information page. 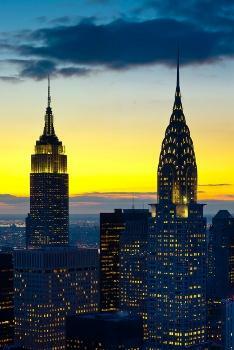 The reservation deadline for the conference rates is May 5, 2012. 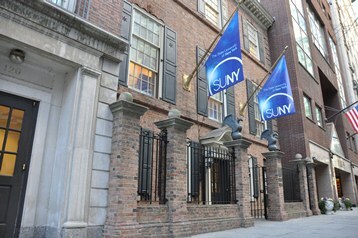 In addition to COIL, the SUNY Global Center houses the other departments and the headquarters for SUNY's Office of Global Affairs. The Global Center is located in one of New York City's most distinguished landmark buildings and is a specially designed facility for an innovative 21st century global experience. As you step through the portal of the forty-thousand square foot complex, you enter a unique environment for learning. With its location in the heart of Manhattan, the center is also equipped with advanced information and video technology to provide direct, face-to-face interaction between students, and faculty and participants around the world. The Global Classroom, where the conference will be convened, as well as the SUNY Global Center itself, are hubs for cross-border and cross-cultural exchange of information, knowledge, learning and innovation. Directions to the Global Center from various arrival points in New York City can be found on the directions page.